1. Do your research: As with anything, your marketing journey should start with some major preparation. Do some research into last year's numbers: What products were your best sellers? Which didn't do so well? If you already have some marketing in place, look into the data behind those channels and content. What worked best? What prompted the most customer engagement? These insights will help shape your marketing efforts moving forward. 2. Define, target and engage: Digital or not, this is an absolutely crucial aspect of marketing. Your customers are your lifeblood and all marketing efforts are intended to attract them. Therefore, it only makes sense that you would spend ample time defining just who that audience is made up of, targeting them on the correct platform with the best content and then working to continuing engaging them with your marketing efforts. 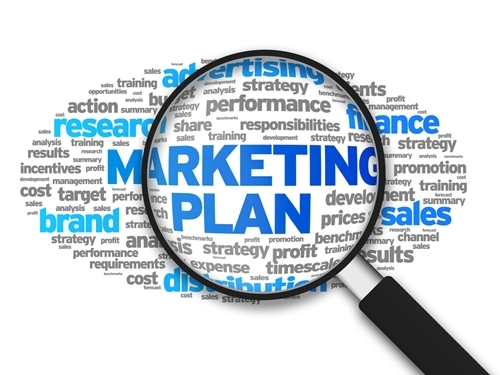 The entirety of your marketing strategy will depend upon your audience, so make sure to get this step right. 3. Give video a try: Videos can be a cool way to reach out to your customers and show off your industry expertise. A whopping 93 percent of marketers take advantage of video content for online marketing, sales and communication, according to an infographic by HubSpot. Not to mention the fact that, 52 percent of marketing professionals consider video effective for brand awareness and another 42 percent believe it plays a heavy role in online engagement. Clearly, there is something to this push toward videos. Try making some fun video content based around your best offerings or new products. 4. Social media is your friend: Social media can be daunting for business owners who have never navigated the various platforms before. But these digital channels are some of the best and most cost-effective marketing tools. If you only use one site, Facebook is our platform of choice. According to the 2015 Social Media Marketing Industry Report, over 90 percent of marketers used Facebook as a key part of their social media strategies. The marketing functions are easy to use and reach a wide range of potential customers – providing some serious bang for your buck. 5. Stick with it: Now that you have a marketing plan in place it is very important to be consistent. Consistency in your marketing reinforces brand identity and increases customer recognition. The more you are on your customers' radar, the more likely it is they will engage with you. According to Business 2 Community contributor Chris Horton, consistent content production can increase traffic, leads and sales. Don't miss out on these opportunities by slacking off on your delivery. Increasingly, marketing is becoming crucial to generate business and entice new customers. This is especially true among younger generations. For print businesses looking to spark some new sales, marketing is a great place to start.